I’m a big fan of the strange and the unusual. If a game which is slightly offbeat comes along, I’ll be the first one buying it and playing it to death. In my most recent gaming history I’ve played some really weird titles, where reality has been distorted, monsters give you nightmares and all kinds of strangeness ensures that your spine will quiver. 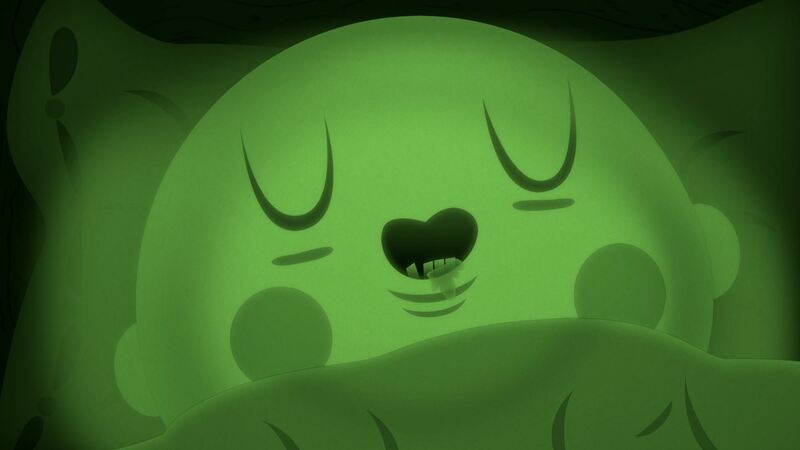 So when I first went hands-on with Bulb Boy I was feeling confident that it will be something that would just wash over me as it attempted quirkiness, pretty much because I’ve seen it all before. I was wrong. 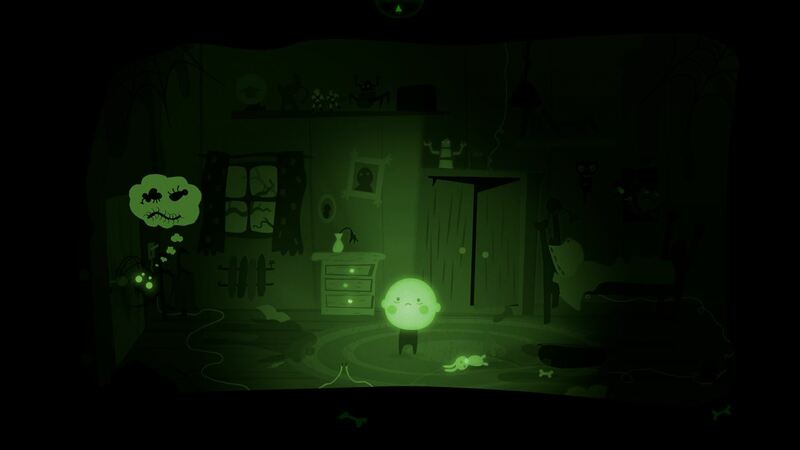 Bulb Boy is a 2D horror puzzle adventure, but it’s also so much more than just that. You play the boy himself, the one whose head is, of course, a light bulb. He also has an oil lamp for a granddad and a flying moth dog as his companion. As you do. After a pleasant evening watching TV, a strange monstrous force of evil enters the home and changes everything. Horrific monsters are unleashed and Bulb Boy has to help save his companions and, eventually, the day. The original game was released on PC, but that has now been translated from its point and click roots down to console. This all works well, but can at times be a bit slow with the analogue stick, as you move around the screen picking up items and trying to solve puzzles, one room at a time. For example, early on in the game a scary spider is stopping you from leaving your bedroom, so you have to collect a fly, beetle and caterpillar to make it go away. Now, how you find these items becomes a task within itself, and soon you have puzzles within puzzles. There are also some action sequences that require quick reflexes and a lot of button punching, and platforming moments involving travelling through a monsters insides or swinging your head through a chandelier. Yes… it is as mad as it sounds. All the gameplay works well, and it’ll take you just two or three hours to complete the game. The puzzles are completely bonkers, but are really fun to work out and I only really got stuck a couple of times – which for me, isn’t bad at all. What it does, it does very well, mixing a surreal wordless story with some truly original gameplay throughout. I love what the developers at Bulbware are trying to do and even though this game will not be everyone’s cup of tea, it certainly was mine. Much of that fun is found in certain, weird but hugely entertaining, flashback sequences in which you play as the moth dog and the grandpa. The monsters in this game are hideously inventive as well, like a toilet nightmare creature, a headless roasted chicken and giant hands coming from the floorboard. There is a hell of lot of fun to be had, and to be honest, it gets pretty scary as well. The story as I said earlier is fully mute, without any words or voice over. Its communication is done through cartoon thought bubbles, and it is this that lets you know a character’s intentions or needs. Either that or you can tell by Bulb Boy’s expressions what needs to happen or where you need to go next. The story and themes are like the dark cartoon world of “Ren and Stimpy” or old eastern European cartoons from the 1970s. It’s a mixture of images, violence and utter lunacy – all put together in a heart warming family drama that is the most unusual game you’ll play this year. It is the visual department where Bulb Boy comes into its own though, with a brilliantly weird cartoon world created by someone who really needs to get some professional help. The character designs, monsters and, in fact, the whole world are genius creations throughout and are where the heart of this game lies. Strange colour palettes, grotesque toilet humour and some of the most disturbing and occasionally funny deaths to the main hero you’re ever get the chance to witness come about thanks to this game. 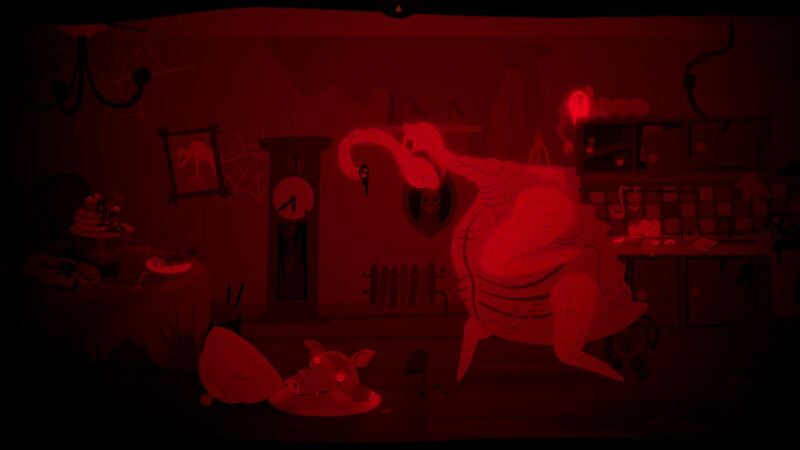 The whole travelling inside a monster’s stomach segment is a must see and play all on its own. The audio obviously lacks any voice over from the main characters, but it makes up for this with an assortment of weird sound effects that are totally in sync with the visuals. There’s a good B-movie style soundtrack that plays along as you journey through the world too. For the cheap price Bulb Boy is worth a gamble, especially if you’re up for something very different. You’ll have to be a fan of the puzzler genre, need to be used to the slow rhythm of a point and clicker, and be prepared for the strange and the unusual, but if you’re up for that, or are a fan of games like Mr Pumpkin Adventure, then you will love Bulb Boy. I’m glad that there are games like this being produced and look forward to more from little Bulb Boy and his family of weirdos.